I had the opportunity to do some touristic activities in Hiroshima after attending the Interdisciplinary Conference for Social Sciences as an Emerging Scholar in July. It was summer and the heat could be as high as 38 Celsius! The good part for me was the humidity would benefit my dry skin. Weather aside, I had the opportunity to wear a yukata, a Japanese traditional summer kimono! Though the wearing process might take about 10 minutes, the material was surely comfortable. Another highlight for this summer trip was the extravagant fireworks throughout the country. I was lucky that, coincidently, one of the ports in Hiroshima, Kure, was having the event after my conference! The tourist website stated that 5000 fireworks were shot; although I didn’t count, the explosion above water was certainly beautiful. The hour-long display coloured the sky and wowed the huge crowds of spectators, who were mainly locals. I spotted some couples and a mother and a daughter wearing yukata to the event. I thought they were adorable. With throngs of people on the roadside, I enjoyed the sparkling night sky. 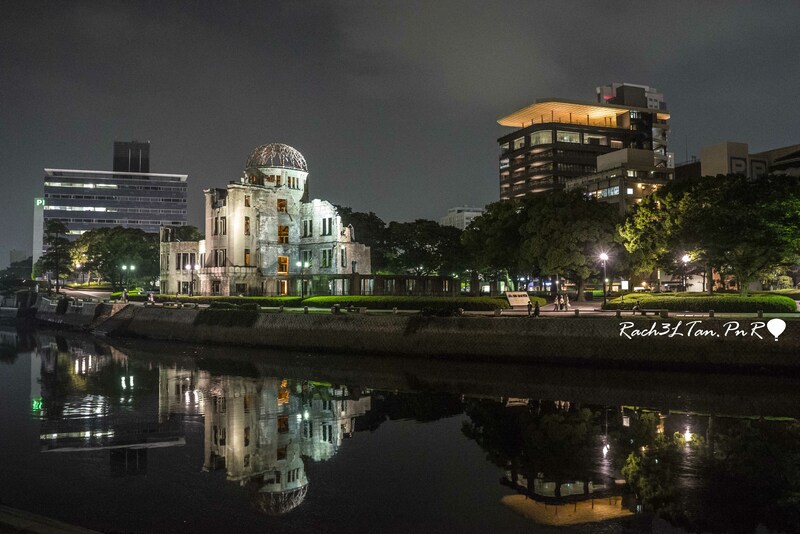 A compulsory visit to Hiroshima is the Peace Memorial Park, which reminds people of Hiroshima scars by the nuclear bomb. This is where the first atomic bomb landed. Being a conference participant, I had a free entrance to the Hiroshima Peace Memorial Museum. In the first two sections of the museum, you can see panoramic pictures of the city before and after the bombing. The remaining sections exhibit artefacts and stories of the bomb effects. The Atomic Dome or A-Dome is another significant building at the park. Surrounding it, you can see monuments erected under the theme of peace. I can’t even imagine the harrowing effects of the nuclear bomb and the inhumane suffering that war brought to people. My final visit was Miyajima Island. Some friends from Hiroshima University told me it is a must-visit destination for its lustre nature. As the ferry approached the island, I was mesmerized by the iconic torii-gate. With the green hills as its backdrop, it stands with grandeur on the high tide-seashore. On the island, free-wandering deer greeted me. They are protected animals and very friendly to people. However, I was careful with my belongings because a deer ate one of my friends’ fan! I am certainly grateful for how my conference gave me these delightful explorations! They added colours to my first Japan summer! If you are interested in how I make conferences work for me, you can read them here.